Not worthy of the 100th episode mantle. As a stand alone episode it wasn’t bad, as a 100th episode it failed to reach the lofty heights of expectation. 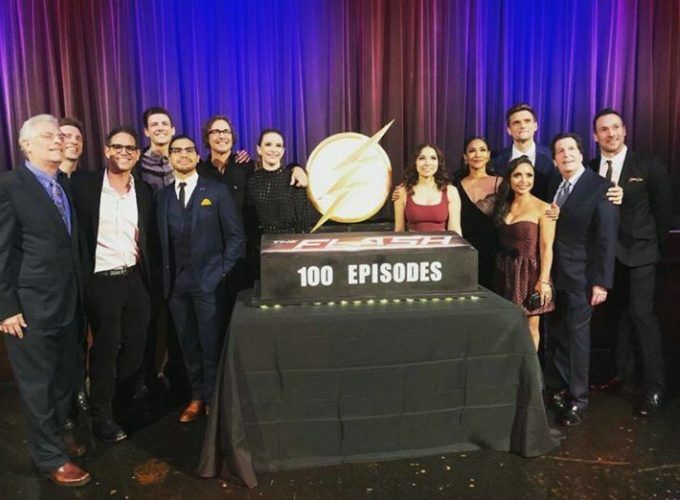 The Flash 100th Episode— BEWARE THERE BE SPOILERS AHEAD! Its always a great milestone when a TV series reaches certain achievements, First season finale, first cliff-hanger 2 parter, the crossover and the 100th episode. The Flash has reached so many of those already in its 4 seasons and now we’re at the beginning of Season 5, the fastest man alive has reached one more. 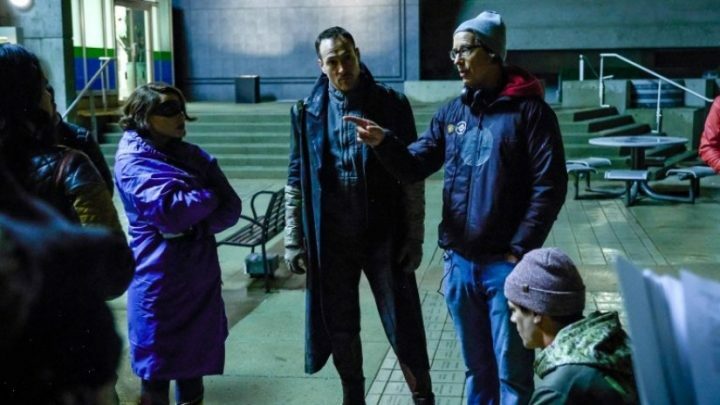 On the 4th of December The Flash aired its 100TH Episode titled “What’s Past is Prologue” Directed by show regular and fan favourite Tom Cavanagh. To say I was excited about this episode would be an understatement. I had been waiting since plot points and spoilers had been released, weeks prior, about past villains returning; including one of my favourites, Eobard Thawne aka The Reverse Flash. Unfortunately though, my excitement was misplaced and the 100th Episode didnt quite hit the lofty heights I had wished it to. Please know, i’m a long time fan of The Flash and have been ever since John Wesley Shipp strapped on the tights and cowl as the Scarlet Speedster back in the early 90’s. Now with Grant Gustin donning the Cowl and John adopting the helmet of the golden age flash; Jay Garrick, i was a back in my element of shouting “Run Barry! RUN! !” at the TV. So, the 100th episode. It was a time travel episode which could have been brilliant and incredibly well written, we even had Hartley Sawyer’s Ralph playing Huey Lewis and the News’s “Back in Time” from Back to the Future as Barry and daughter Nora start to travel through time, alas this was one of a small selection of scenes that were good and for the rest.. well, we were given was a clip show, a lazily written clip show. The inclusion of the villains was not what i expected apart from the scenes with Reverse Flash. Hunter Zoloman aka ZOOM was poorly used and could have been a lot more dangerous, instead he just got wiped out by a Time Wraith, Savatar was hit and miss and gone in a…well..a Flash! 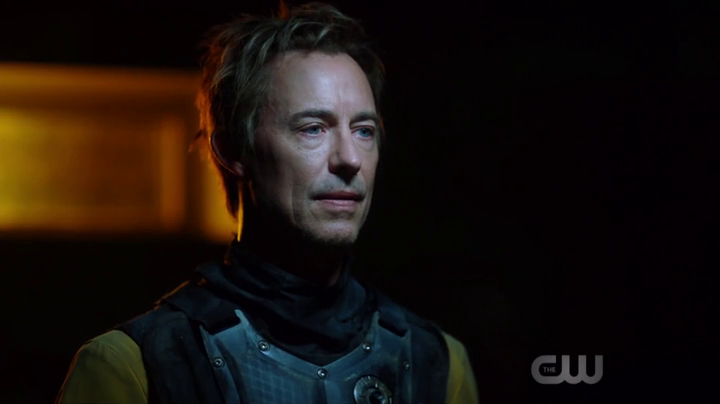 My disappointment was quenched slightly when we had scenes with Tom Cavanagh as Eobard Thawne. Every time Tom switches on the maniacal, evil, cerebral and genius of the Reverse Flash it always gives me chills to watch… to think this was J.D’s brother in Scrubs! On top of this, anytime i got to see Danielle Panabaker as Killer Frost was always a good point.. but the minuses very much outweighed the pluses and I was left somewhat deminisjed by it all. I’d love to write more about the episode…i want to write more about this episode but there was nothing to write about. Nothing grabbed me in excited squealing delight as a Flash fan and to me, especially with this milestone, was a disappointment. Granted the last 10 minutes was enjoyable but to be honest it was more of a preview of the new crossover and couldn’t really be taken as part of the episode itself. 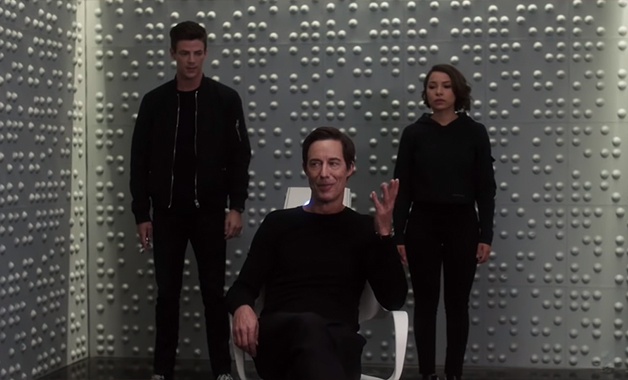 We find out Nora has been a naughty girl and is in fact working alongside Eobard in the 2049, tut tut. End of episode. woohoo! Then Pow!!! We get a titular preview of the new “Elseworlds” major crossover, huge wasteland with explosions and hero bodies laid out across the stricken battlefield, then we see a familiar form; bathed in red, with gold lightning. 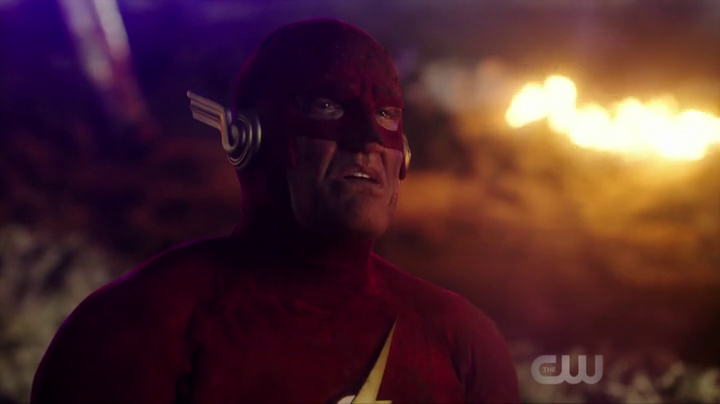 He raises his head to show John Wesley Shipp back in his 90’s Flash suit. Straight from my childhood and into my present without missing a beat the Hero of my TV Childhood was back and looking amazing, i could hear the original TV theme as he raced away with the final scene being a close up of his chest emblem. I guess, all being said and done It was worth watching this subpar, 39 minutes episode, just to see that. 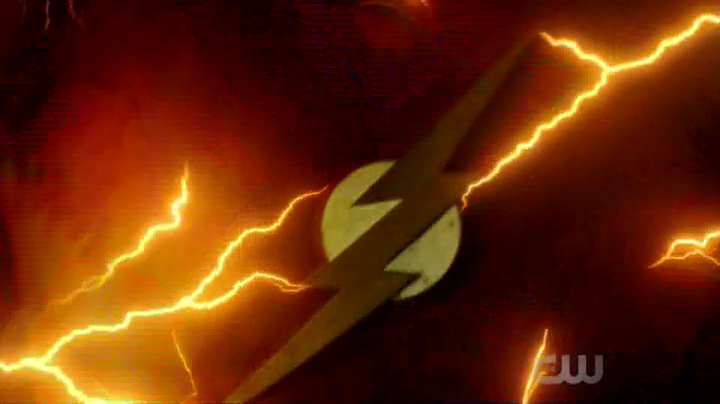 All in all The Flash 100th didn’t quite live up to expectation and yes i know we shouldn’t have expected it to be fantastic only being 8 episodes into a new season and with a huge villain like Cicada being the main focus, but i couldn’t help but feel it could have been so much more than just a cheap clip show with some minor good scenes and a final preview scene right at the end. 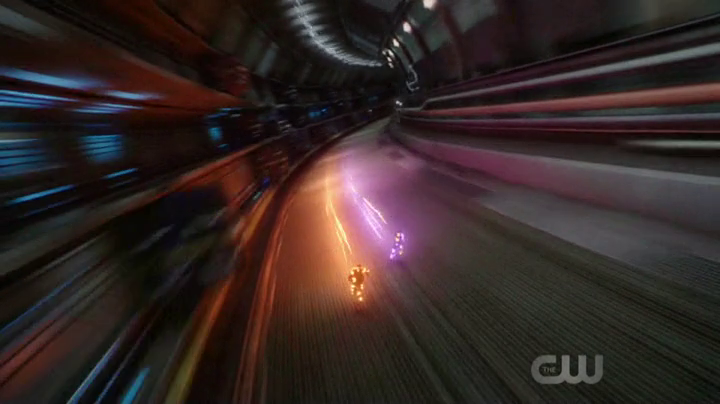 Come on Flash writers, you’re better than this. So with only 3 days left to go before the “Elseworlds” crossover I guess we can only go up and on from here. That’ll bout do it from this King of geeks, so until next time. Face Front True Believers!